For whatever reason, when I realized this morning that it was the 9th of July, I thought, "There is something significant about today...what is it?" I knew I should remember, but it slipped from me. Pastor George Borghardt wrote that today is his daughter Sophia's 6th birthday, which is a miracle in itself. Check it out. Happy Birthday, Sophia! Then it hit me. It is an anniversary for me too! 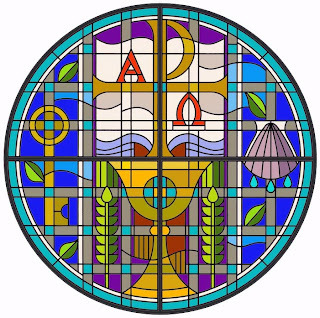 Thirteen years ago today I was ordained into the Office of the Holy Ministry. Time to pause and thank God for all of His gifts these 13 years, and look ahead to the blessings to come.